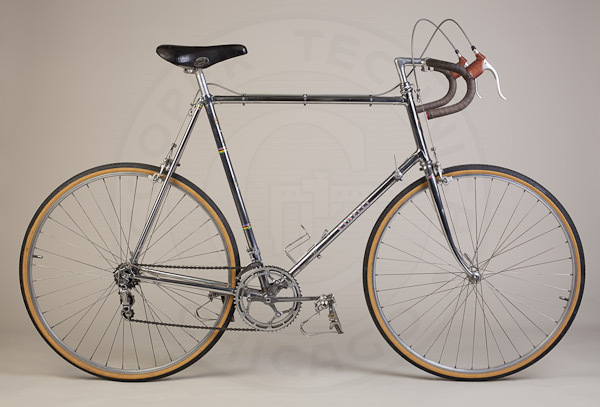 The original owner told me he placed the order through a New York bike shop and waited for over one year for it to be made. 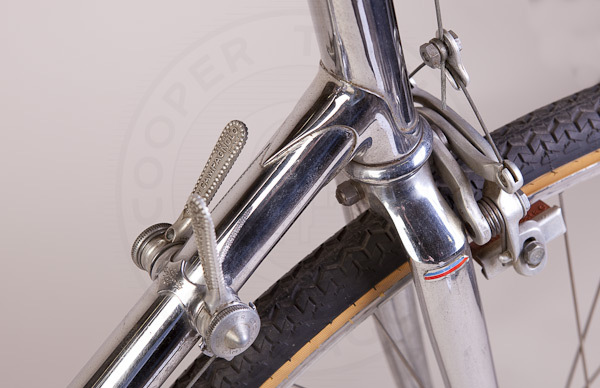 The frame has long point lugs, the typical Cinelli sloping fork crown and fastback seat stays. 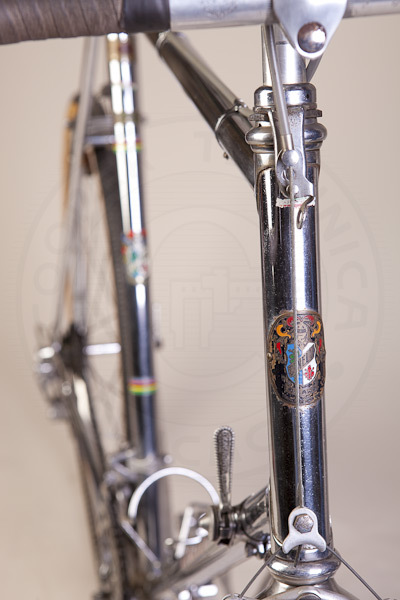 It is a Speciale Corsa model according to the original frame decal. 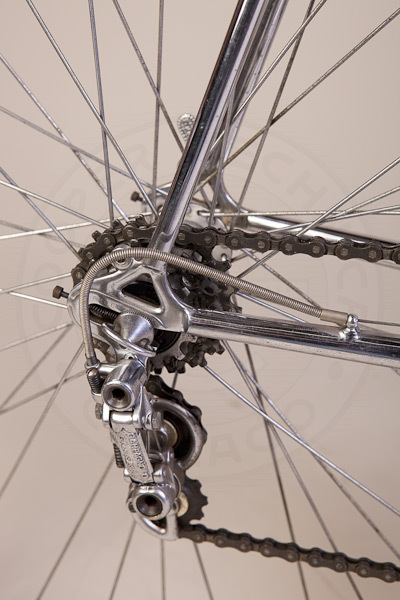 Cinelli introduced his distinctive three hole lugs the year after this frame was made. 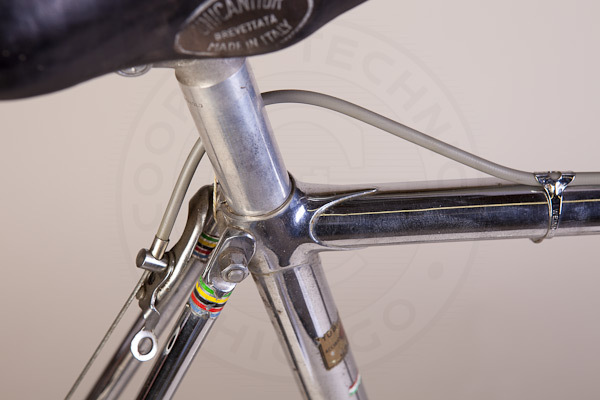 When I purchased the Cinelli, the original owner asked me if he could keep his original saddle as a keepsake, so I replaced it with the same Cinelli Unicanitor type. 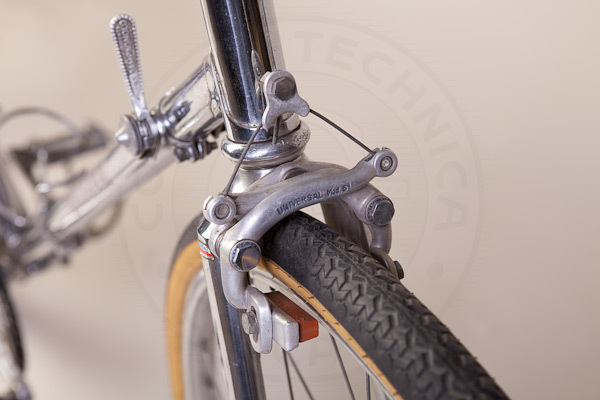 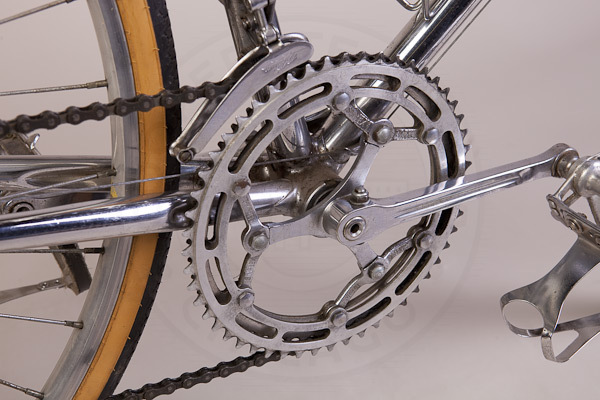 Otherwise the frame and components are original, including Universal 61 center-pull brakes, Campagnolo Gran Sport rear derailleur, Campagnolo Record front derailleur, and Cinelli steel cottered cranks with Simplex chain rings.